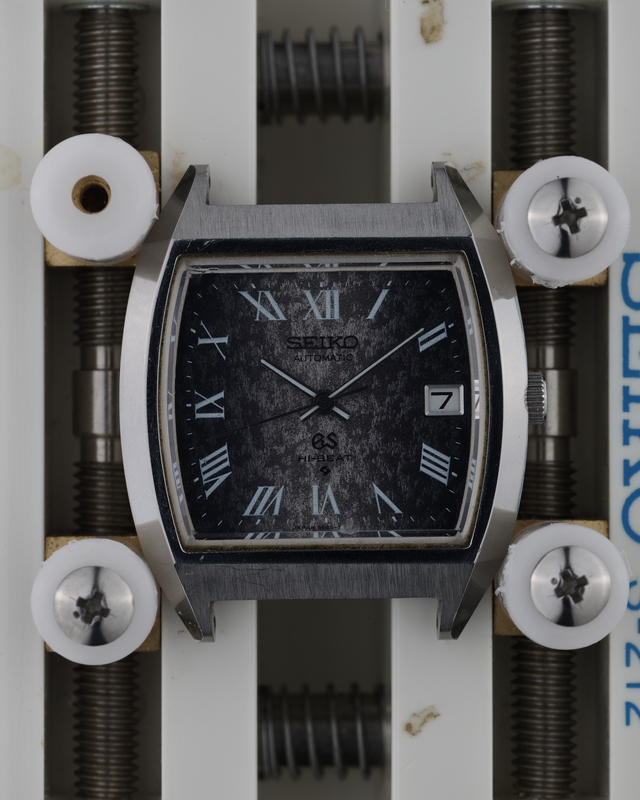 The 5645-5010 is the first in a set of four watches introduced at the beginning of 1973 with square cases and dials. 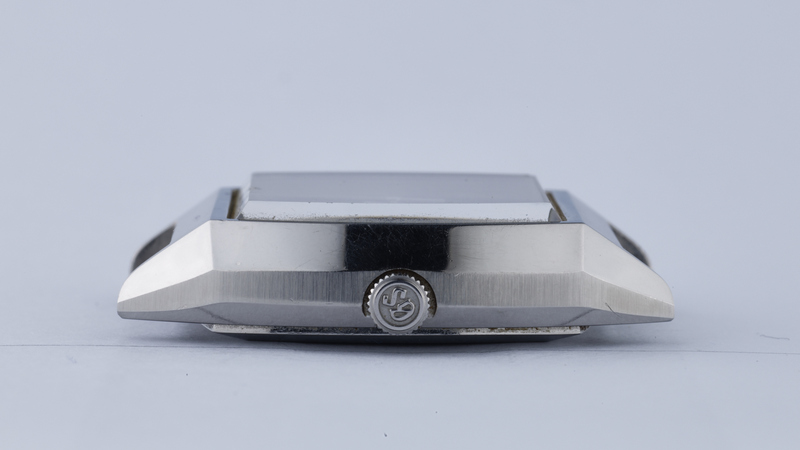 All four watches were stainless steel cased, with two date-only options, and two day-date options. 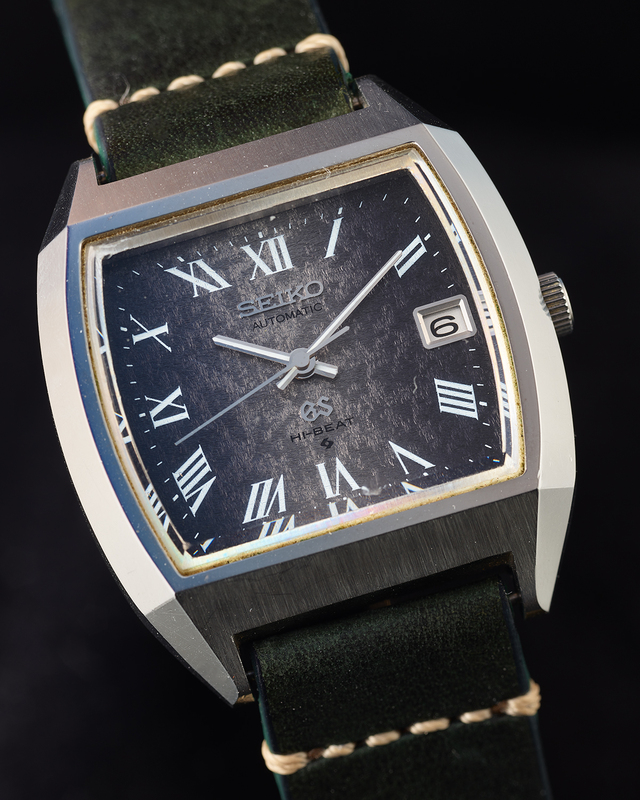 The example presented here is the graduated charcoal textured version with Roman numeral hour markers – one of only two vintage Grand Seikos to show such a feature. 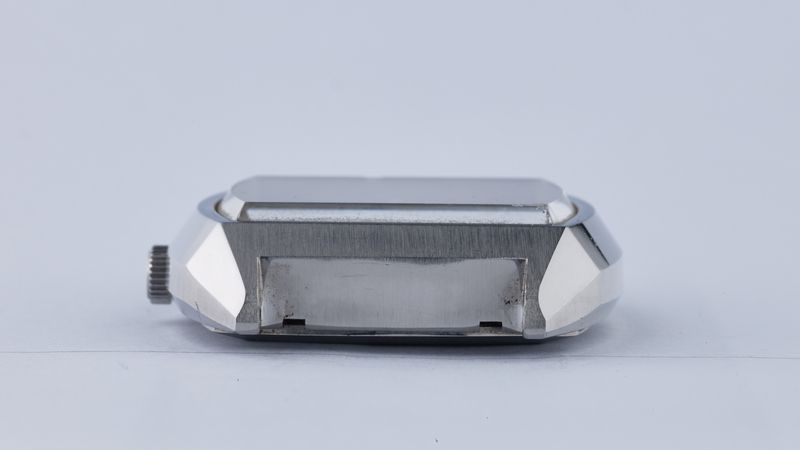 The case is in excellent condition, retaining its brushed finish to the surfaces between the lugs. 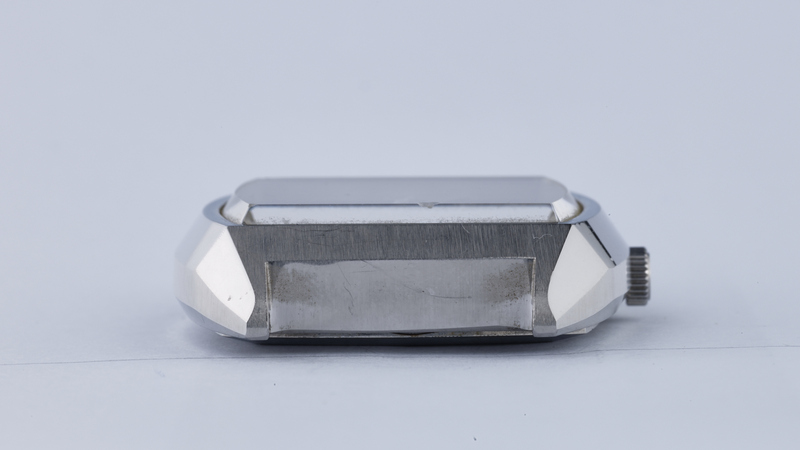 The case shows only minor signs of wear and tear, and the crisp edges would seem to point to possibly only minimal polishing in the past. 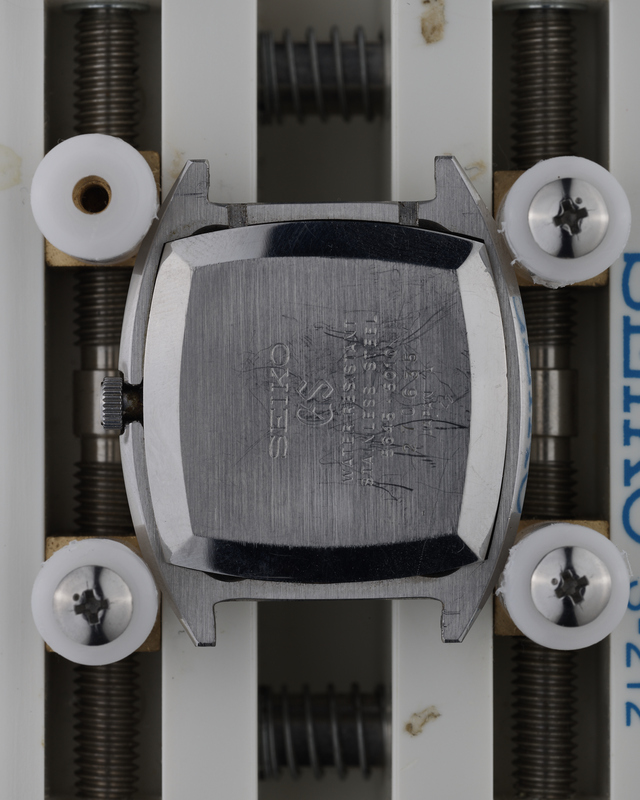 The dial is effectively flawless, with no degradation visible to the naked eye. Please note that the quick-set date function on this watch does not work – pulling the crown out one stop and turning it does not change the date. However, the date does change correctly when the watch is running. 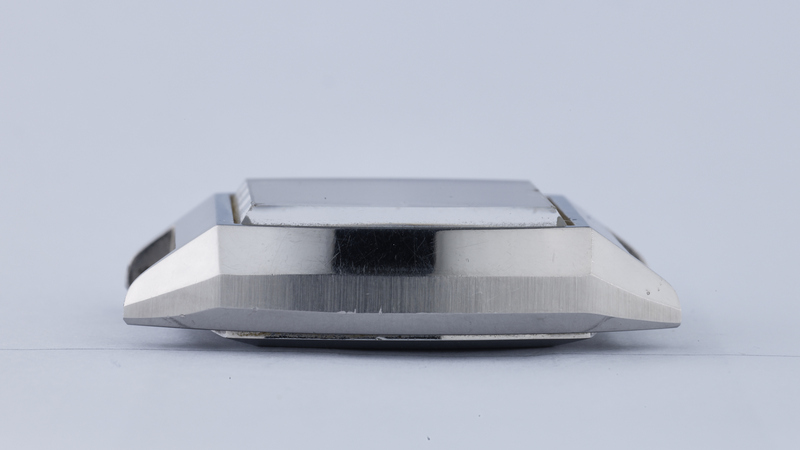 This watch was serviced in March 2018, comes with a 1 year guarantee (refer to the FAQ page for details).